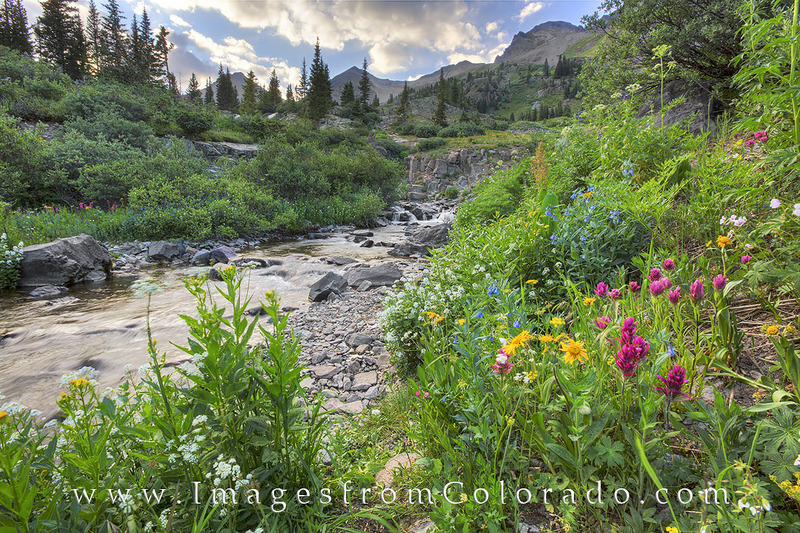 Colorado wildflowers of red and gold and blue line the clear, crisp stream that flows down from Yankee Boy Basin. The dirt road leading to this lush valley isn’t far – only about 9 miles from Ouray – and is well worth the bumps it takes to reach this location famous for its summer blooms. Photo © copyright by Rob Greebon.